Originally called Decoration Day, when Americans took time to decorate the graves of soldiers who gave their lives in the Civil War, today’s national holiday of Memorial Day honors all American soldiers who died in defense of the nation. While several towns claim to be the site of the first Memorial Day celebration, one man, John A. Logan, deserves much of the credit for the establishment of Memorial Day as a national holiday. John A. Logan, was born 9 February 1826 in Jackson County, Illinois. He served as an officer with the 1st Illinois Volunteer Infantry during the Mexican War but did not see any combat. Upon his return home to Illinois, he became involved in state politics and was elected to the US House of Representatives as a Democrat in November 1858. A powerful orator, he staunchly defended the Union during the months leading up to the Civil War despite representing an area of Illinois that harbored secessionist sentiments. In fact, his oratorical skills swayed many of his constituents to change their views and support the Union. Upon the outbreak of hostilities in 1861, Logan volunteered his services as a soldier and served with a Michigan regiment at the Battle of First Bull Run on 21 July 1861. After the battle, he returned home to Illinois to recruit a regiment, the 31st Illinois, and was named the regiment’s colonel. Nicknamed “Black Jack” for his black hair and dark eyes and complexion, Logan led his regiment into combat for the first time at Belmont in November 1861. 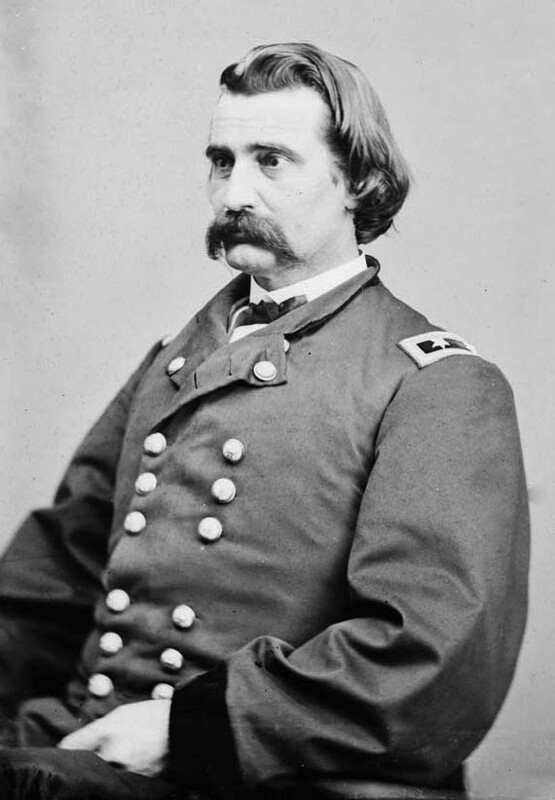 He proved to be a natural military leader and later fought with distinction at Fort Donelson, Corinth, and Vicksburg, and rose to the rank of major general of volunteers. During the Atlanta campaign, he commanded XV Corps, was wounded, and then temporarily commanded the Army of the Tennessee. He was replaced as corps commander by Major General O.O. Howard, a decision made by Major General William T. Sherman because of Sherman’s mistrust of “political” generals, not because of Logan’s fighting abilities. The decision led Logan to despise professional soldiers, especially West Pointers, for the rest of his life. Logan, however, dutifully served under Sherman for the rest of the war until the surrender of Confederate General Joseph E. Johnston in April 1865 in North Carolina. Many historians consider Logan the best of the Union Army’s political generals. Following the Civil War, Logan was instrumental in the founding of the Grand Army of the Republic (GAR), a veterans group comprised of former Union Army soldiers, and served as the GAR’s second elected national commander; General Stephen Hurlburt was the first commander in chief of the GAR. On 3 March 1868, Logan issued General Order No. 11, which called for a national day of remembrance for Civil War dead. This order served as the basis for what became the national holiday of Memorial Day. Logan also returned to politics after the war as a Republican and served in both the House and Senate. He was on the 1884 Republican ticket as vice president with presidential candidate James Blaine. Logan died on 26 December 1886 and is buried at the United States Soldiers’ & Airmen’s Home National Cemetery in Washington, DC.